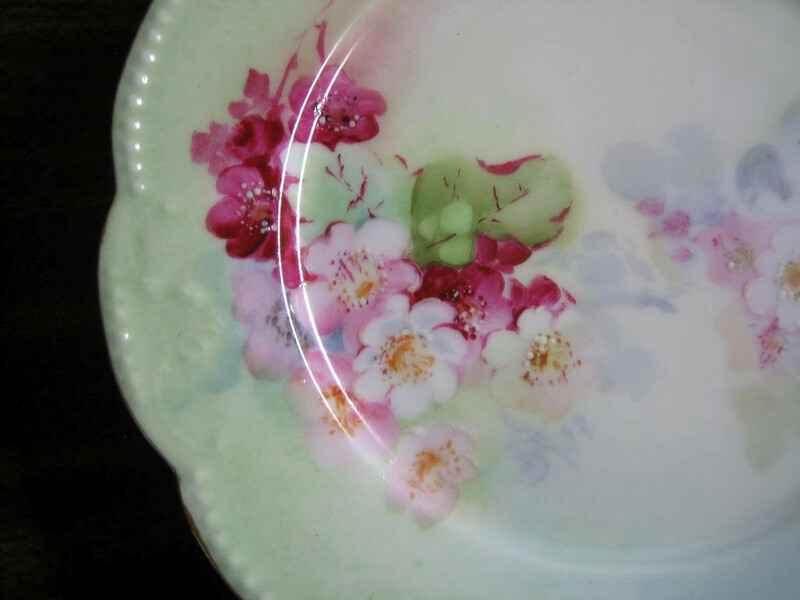 Click the button below to add the Antique Hand Painted Pink Pink Posies French Limoges Porcelain Plate to your wish list. 6" Circa 1900, over 100 years old. Scalloped edge with gorgeous sea foam green background. 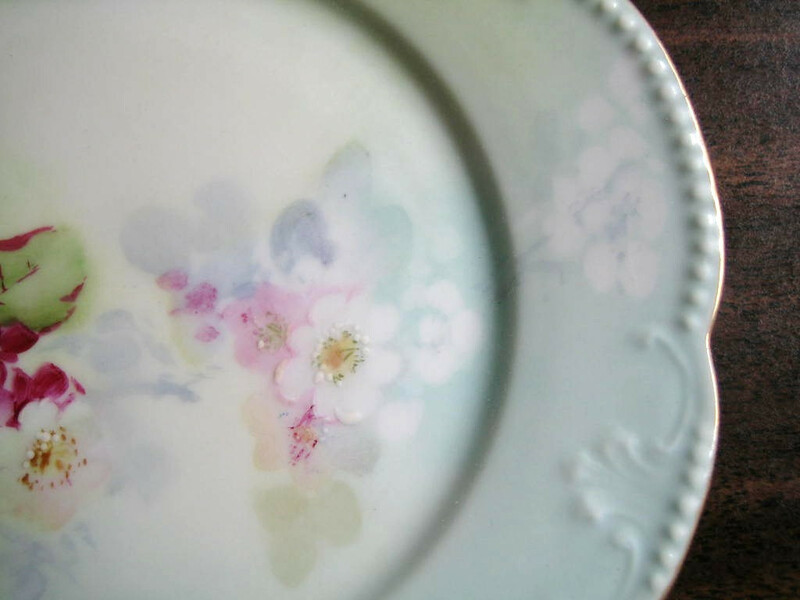 Hand painted and air brushed pink, white, and magenta flowers. A.K. Limoges France. From my personal collection.